A lot of us have those go-to amazing recipes that we make for Thanksgiving or Halloween get-togethers. If you’d like some new ideas, then look no further!! Yes, a lot of these use sugar (Though there are a number of amazing soups and even a stir fry in the mix), but that doesn’t change the fact that they are amazing recipes. We love to take recipes and add our personal tweak to them. Use whole wheat or unbleached white flour instead of bleached white. Or use a half whole wheat/half unbleached white mixture. I do this and even pastries come out great. Instead of store bought creamers and whipped creams, make your own from raw milk if you can get it. Use good oils like coconut instead of GMO soy, vegetable, corn, or canola oils. We don’t eat sugars every day, but we do have some occasionally with a twist and I can’t wait to try a number of these fabulous recipes below!! 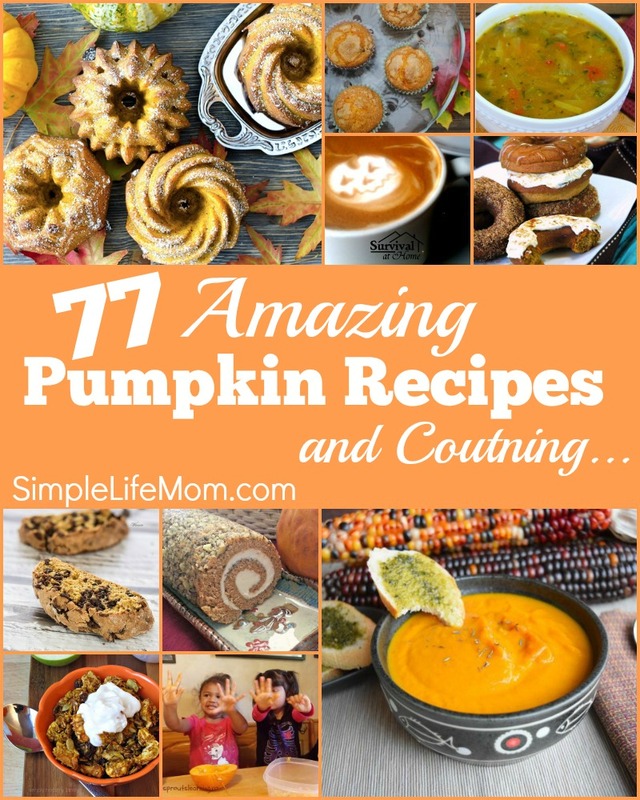 To give you even more recipes, I’ve made this into a link up where you can add your own pumpkin recipes if you have them. They must be pumpkin recipes though. If you have a blog, add the link to the Pumpkin Recipe Line-up below. If you don’t have a blog, but have an amazing recipe, please share with us in the comments below! This Link up goes all the way THROUGH NOVEMBER, so keep checking back! These are great pumpkin recipes Kelly. 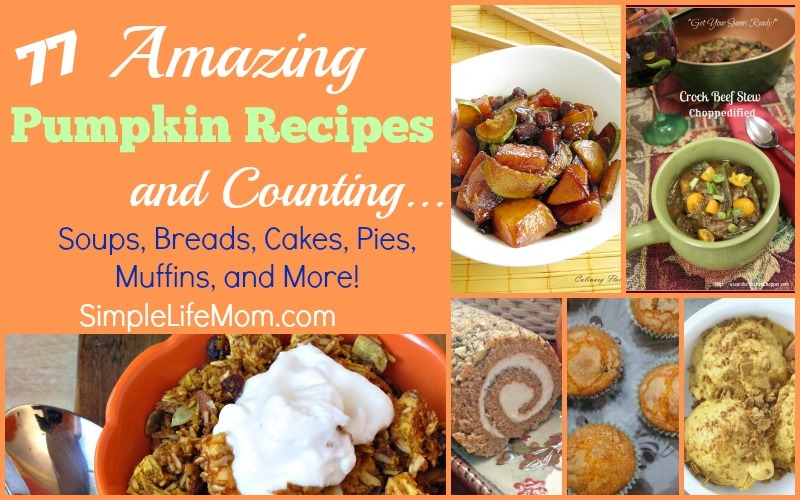 Thank you for including a few of my recipes. They are wonderful! A great addition! The pumpkin and Tumeric Soup doesn’t work do you have another link please? Oh no! I love that soup! I’m making it the day after Thanksgiving. I have it written down and will have to ask KC if I can share it. I know her site was having a lot of problems. Sorry about that.